The social media updates and news you need to know right now. Algorithm updates and social media platform changes to Facebook, Twitter, Snapchat, Instagram, and all of those other rad sites and apps! Facebook is changing post ranking based on reactions instead of likes: Facebook believes that your post reactions matter more than your post likes… So, from now on, when you react to a post as opposed to simply liking it, Facebook will take this into account when it comes to determining what you see in your News Feed. Facebook video commercials will soon be a thing: Yup, that’s right… Facebook is going to start showing commercials in the middle of the videos you watch. These “mini-commercials” will take place during both live and non-live videos. Facebook is testing shortcut buttons to other social media platforms: As a social media nerd, I have to admit, I’m kinda excited for this update. Facebook is reportedly testing out shortcut buttons which will link to other social media profiles; users will be able to display these buttons directly on their profiles. Suicide Prevention via Facebook Artifical Intelligence: The future is here, ladies and gentleman. Facebook is currently testing a new tool which will leverage artificial intelligence for suicide prevention. This new feature, which is triggered when a users’ posts are flagged as “troubling”, will give the user in need an option to connect immediately with someone at organizations such as the National Suicide Prevention Lifeline, the National Eating Disorder Association, or the Crisis Text Line via Facebook Messenger. Facebook adds national flags to profile frames page: Facebook updated their Profile Frames page to include new frame options like your choice between 200 national flags (Ta-Da!). The update also includes a new interface for searching for and adding image enhancements. New reporting features available for Facebook analytics for apps: Facebook introduced two new ways to make reporting life a little bit easier for product managers, marketers, and developers. The new insights in Analytics for Apps now features the ability to compare data for two customer segments side-by-side and support for domain-level reporting. Twitter updated their algorithms to bust abusive accounts: Be careful marketers, your automated tweeting can get you in Twitter Trouble. Twitter just publically announced that they will start relying on algorithms to identify and restrict accounts for engaging in “abusive behavior”. This abusive behavior is defined as either “repeatedly Tweeting without solicitation at non-followers” or violating the Twitter terms of service. So what happens when you get sent to Twitter Time-out? Twitter says that violators shall be punished with decreased tweet visibility for 12+ hours making the account’s tweets only visible to its followers. Twitter’s Periscope Producer is now available to all: Twitter announced that its Periscope Producer service is now available to everyone, allowing broadcasters to incorporate high-quality live video from sources other than their mobile device. Twitter custom profiles for Direct Messaging now available: Twitter ups their DM game in an effort to help businesses feel more “human” when interacting on the platform. It’s a nice touch actually. The new Direct Message API changes will allow businesses to reply to a customer’s message and instead of manually adding a signature to the message, Twitter will automatically display the face, name, and title of the agent speaking. 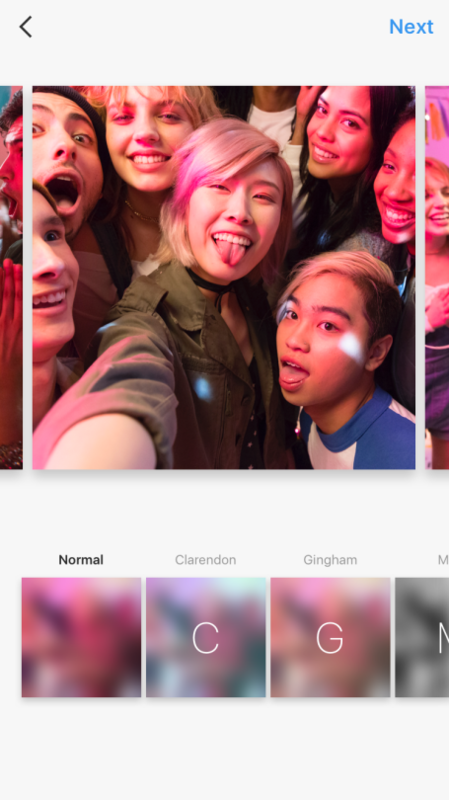 Upload multiple photos in one Instagram post: Instagram launched a new slideshow feature that allows users to share multiple photos and videos in one carousel-style album. When you see blue dots on a post, this indicates that there are more photos… so start swiping. Filters can be applied to the whole album or to each photo. Marketing tip: If you want your fans to be able to check out an image that doesn’t fit the square format on Instagram, take advantage of carousel feature by uploading multiple photos of that one large photo split into sections…this will create a pretty cool panoramic photo effect. Nothing pin-worthy to report this week, kids. But check out this random article about what Men are pinning on Pinterest. LinkedIn is away on business this week, but check out this article about the horrible things bosses say to people at work. YouTube predicted to overtake TV: With more than one billion hours … yes, I said ONE BILLION HOURS… (that’s just crazy) of viewership every day, YouTube will likely become America’s preferred way to watch…. just about anything. Google My Business support now available via Twitter: If you need help with your Google My Business account, just send a tweet to @GoogleMyBiz, and their support team will help you out. I don’t know about you, but this gets a #HellYes from me! Say farewell to Google Spaces: Ummm… Google what? Yeah, exactly. No one was using Google Spaces, in fact, I’d be willing to bet almost no one even knew it existed… so it was only a matter of time before the group messenger app was sent packing. So long.. Farewell…. and, you know the rest. MEDIUM: Medium introduces Series, a Snapchat style story format: Medium took all the things that work about interacting on a touch screen, and put them into a single product called Series. TWITCH: Video game streaming giant Twitch will start selling games: Hello gamers! This is a pretty rad announcement. Twitch will start selling games and in-game content through its service allowing viewers to buy titles from publishers both big and independent through its streamers’ channels. This means that streamers can get in on the profits. WHATSAPP: WhatsApp reinvents their status feature: The messaging app WhatsApp just updated their status feature to allow users to share photos and videos with friends and contacts in an easy way… but don’t worry, status updates are still end-to-end encrypted. Self-ordering kiosks at Wendy’s will be a thing. The ginger faced fast-food franchise says that it plans to install self-ordering kiosks at about 1,000 locations by the end of the year. Bees learn to play golf before me. Seriously? I need to get with the program and take my Wii golfing skills out into the real world. Decade long bot battle continues. Apparently, when Wikipedia Edit Bots fight, they don’t mess around… and this is coming from a redhead, so I know a thing or too about being feisty. Fly me to the moon! Did you know that the moon is currently the hottest travel destination on social media? It is.. Elon Musk declared it so.